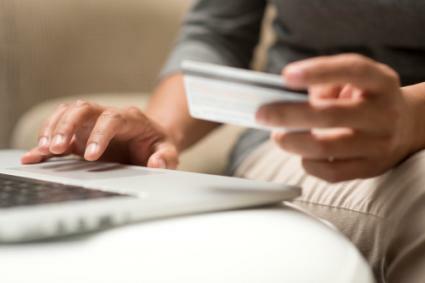 If you owe the IRS money for an outstanding tax bill, there are several online options to remit payment by credit card. However, you should have a thorough understanding of what the process entails before moving forward. The IRS does not accept credit card payments directly, so you will have to use one of their payment processors to move forward. To remit payment, visit the website of one of the payment processors listed below. Any websites beyond the ones listed above should be avoided as they are fraudulent. The credit card fee assessed by the payment processor will not be credited towards the amount owed. Upon arrival at the payment processing site of your choice, you will be prompted to enter the applicable tax form, tax year, payment amount and identifying information about the primary information. Once you enter your credit card information and approve the transaction, you will receive a copy of the receipt via email. There are a few distinct benefits to paying your tax bill by credit card. It only takes a minute or so to enter your identifying information and process the payment online. Plus, you can remit payment from any computer or mobile device that has Internet access. Additionally, you won't have to question whether the IRS received the payment because you'll have proof of the transaction, notes US News. If you're lucky enough to still be in a promotional period, it may be worthwhile to use your credit card to make payments and earn hefty rewards for doing so, notes The Points Guy. However, you should work hard to eliminate the balance before the promotional period ends to avoid the accrual of interest. Otherwise, the costs of using the credit card could easily outweigh the benefits. You should also consider the drawbacks associated with using your credit card to pay your outstanding tax bill. Beyond the convenience fee assessed by the payment processor, you'll still be responsible for paying interest to the credit card provider until the balance is paid in full. If you have a card with a zero balance and a 14 percent APR, the following table illustrates how much the tax bill will cost you over time if you only make the minimum payment. You may be limited to the number of times you can remit payment to the IRS via credit card. In addition, payments over $100,00 may require clearance before moving forward, according to IRS.gov. The total amount owed to creditors accounts for 30 percent of your FICO score. As a result, significant hikes to your debt balances as a result of federal income tax credit card payments will "impact your credit utilization ratio, which could lower your score, leaving you with increased interest rates and a reduced credit line," Mark Foster, director of education for Credit Counseling of Arkansas (CCOA), told CreditCards.com. Once you've submitted a payment, you cannot cancel it or request a refund, notes IRS.gov. Therefore, you should carefully review and verify the details of your request before clicking the submit button so you can avoid filing a formal dispute with your credit card provider.